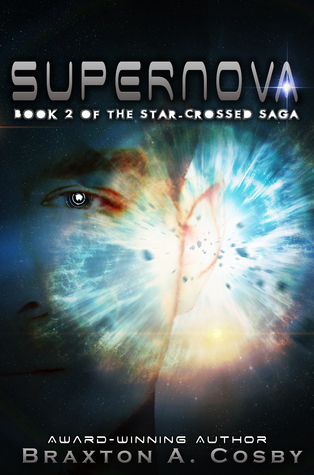 This is the second installment in The Star-Crossed Saga. I must admit the book is even better than the first with more thrills and action. Braxton effortlessly weaves the plot and continues on from where he stopped in the first installment of the series. In this story, we see Sydney change as a person as she embarks on the journey of trying to understand the meaning of being a Star-child and the powers she has. She has William to help her but her feelings for him are put to trial when she encounters Jeff, a boy at school for whom she also has some feelings. Noella stands by Sydney’s side, a faithful friend, trying to atone for all the bad she had done previously. She is also torn between being Sydney’s friend and trying to help William. Henry, Sydney’s guardian is more accepting of the various events that have occurred and ever since his encounter with Jasmine, he seems to be seeing life in a different way. A few more characters including Arrion, William’s best friend are introduced in the story and thus it seems as though a lot of things are happening. In fact, there are a few parallel situations that are portrayed both on earth and on the planet from where William comes from. The author brings out a lot of things in this story that seem to clear any doubts that may have arisen after reading the first book. However, this second installment of the story has some surprises of its own and ultimately raises a lot of questions thus laying the foundation for the next story. This story is a wonderful continuation to the first, where the characters have to fight for what they truly believe in as well as for the ones they love. I highly recommend it to all and if you haven’t started this series yet, I suggest you do so immediately. « “A Book About A Film” is out now!